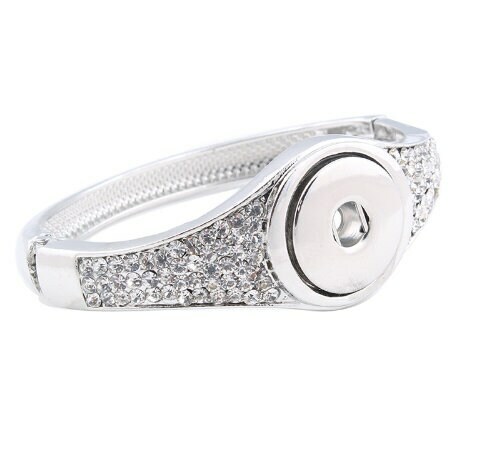 This stunning Crystal bracelet with it's unique circular design pairs perfectly with our hand-pressed or crystal snaps! This bracelet coordinates with all of our 18-20mm snaps. 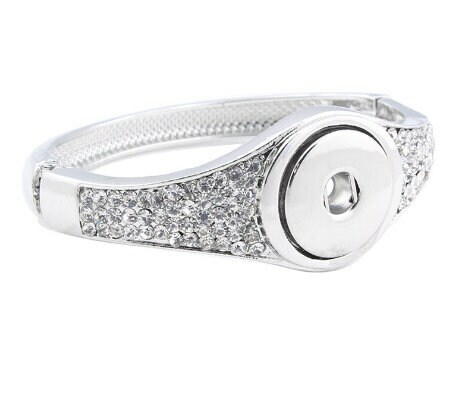 Snaps can be rotated in and out of the bracelet base, allowing you to change up you look with our casual or glitzy snaps. 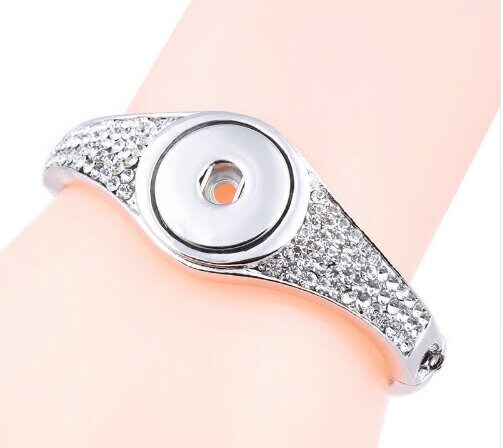 The bracelet features a toggle-clasp to adjust length and accmodates most wrist sizes. 1. Select your base piece!